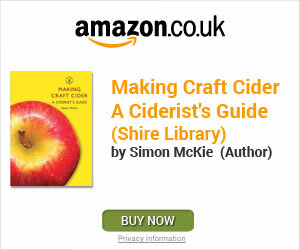 On this page you will be able to determine what apples you need for making cider. How to prepare them e.g. crushing them to a pulp and all about cider presses in preparation for the fermentation stage. 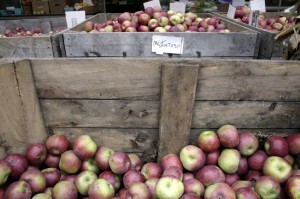 Many producers of cider use a selection of ‘cider’ apples, of which there are many. They are used because of their higher levels of tannin producing distinctive flavours. 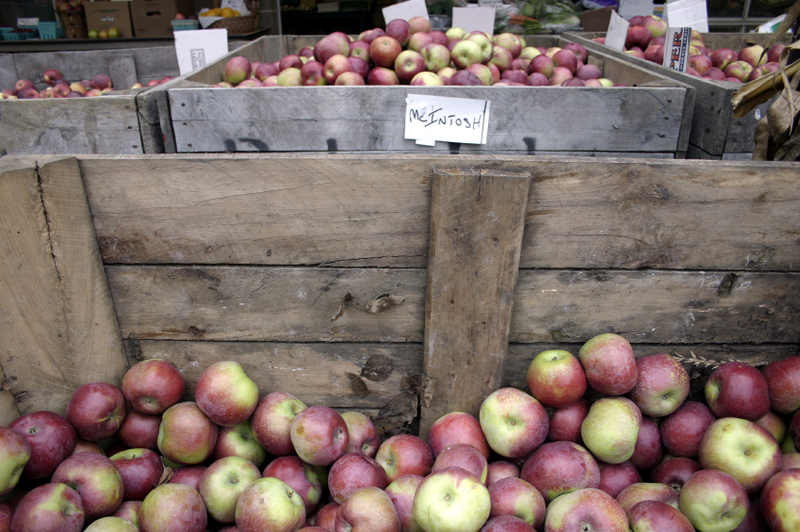 Cider apples with higher levels of tannin are known as ‘bittersweet’ or ‘bittersharp’ and those with lower levels of tannin are sweets and sharps. Don’t despair home brewers you can also use eating (dessert) apples, which are a little more on the sweet side, or cooking (culinary) apples that are a little more acidic. However, try to use a mixture of apples to achieve a well-balanced great tasting cider. If you find your juice has an astringent taste causing the mouth to pucker then try adding crab apples. This will add tannin that is lacking from your ordinary garden apple. If you feel that you would like to add more varieties of apples than you have already harvested then why not visit the nearest apple orchard to you. Select a mixture of fully ripe apples. You will be able to tell if they are ripe by looking at the colour of the pips. They will be black if fully ripe. Do not harvest the apples if their pips are a very light brown. Also, discard any mouldy and badly bruised damaged apples. You can cut out any brown spots. Once they have been picked they must be placed in an odour-free and clean area for approximately 1-2 weeks allowing the skins to soften. In order to remove any unwanted muck, insects and harmful bacteria that could potentially harm and affect the cider, the apples should be washed thoroughly. Washing apples may be best done outside using a large bucket, tub, anything big enough to hold your apples. Fill your vessel with water soak and wash the apples. Remove the apples and drain them off. Use a kitchen fruit juicer. However, this method could take most of the day. Many people use a ‘Pulpmaster’, which can be purchased from any homebrew supplier. Use a commercial device called a ‘Scratter’. You could either purchase or even have a go at making it yourself. Instructions on how to make one can be found on the web. Some people have been known to use a garden shredder. Finally you could put some apples, cut into quarters, in the bottom of a food grade bucket or wooden barrel. Find a strong pole of reasonable length and then crush, squash, smash your apples. Warning: Care must be taken when using any of the above mentioned tools. Only the crushing of apples is required. You should end up with a juicy mush of apples known as ‘pulp’. Now it’s time to get that all important apple juice from the pulp. Again this is a piece of equipment that you can either purchase (examples in the link below) or have a go at making one yourself. Instructions on how to make one can also be found on the web. 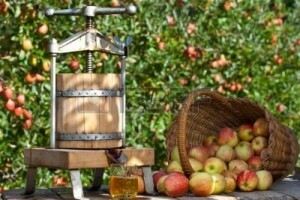 When using a cider press firstly place a bucket or some form of collection container, to collect all that lovely fresh apple juice, under the press. You could also have it flow directly into the fermentation container. Raise the screw to its highest level then fill the bag that is fitted to the basket full of pulp. Fold over the top of the bag placing the heavy plate on top of it. Now begin to tighten the screw. The juices should now begin to pour. When the flow of juice begins to slow keep tighten until you cannot tighten it any more. Sometimes you can obtain a little more juice by leaving it for a while and then returning to tighten the screw further. Remember to taste your juice because whilst you are milling and pressing yours apples. You can add more apples of a particular variety, e.g. crab apple, to adust the acidity or sweetness of your juice. This may take you a few attempts at making cider before you achieve your best preferred flavour. Practice makes perfect. You may see other terms e.g. ‘ratchet press’ or hydraulic press. But the basic principle is to wrap the pulp in muslin and apply alot of weight and pressure to extract the juice.